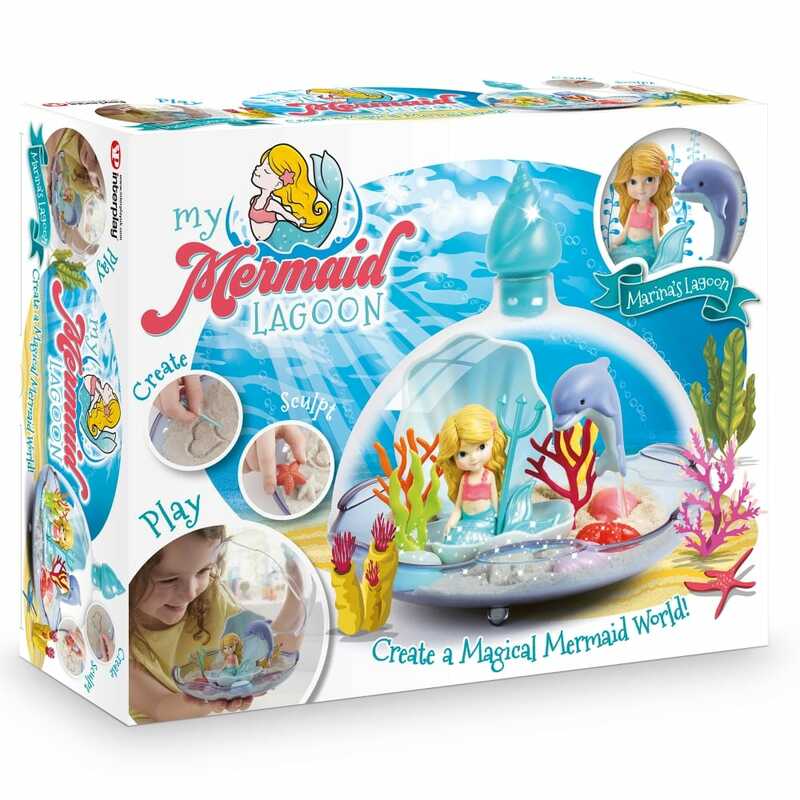 Create a magical mermaid world where Marina and her seahorse friend love to live! Mould, sculpt and play with the glittery magic sand, shells and other accessories to create an enchanting ‘under-the-sea’ scene in a beautiful bottle with a pretty shell-shaped stopper. Take Marina anywhere carried safe and snug in her clamshell home that fits perfectly into a pocket. Contents: 1 x display bottle base, lid and stopper, 1 x figurine 1 x mermaid shell, 1 x seahorse figure & stand, 1 x trident, 4 x sand moulds (various designs) 4 x seaweed and 1 x Corals bag of magic sand.